Rumbling Tums welcome for an afternoon of foodie grazing, craft and art on 10th August. The beautiful Clandeboye Estate near Bangor will provide the picture perfect backdrop to Good Food and Craft Fair on Sunday 10th August. Following the success of last year’s event, the estate will once again host a celebration of tasty local food and drinks that promises to please the palate of the entire family. 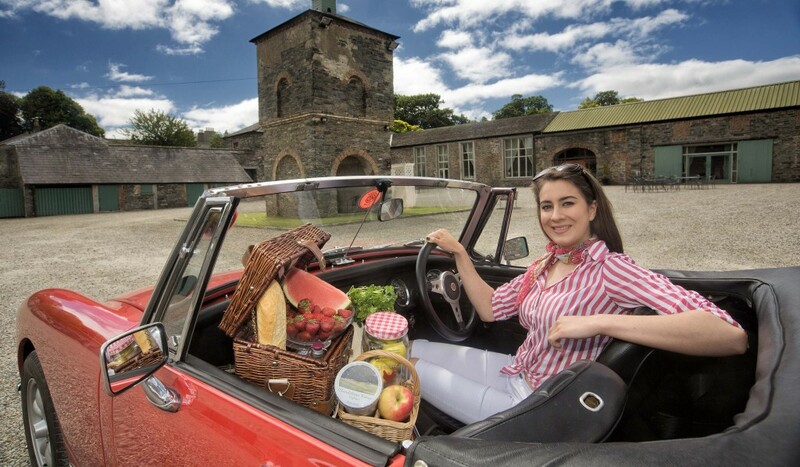 Amongst the mouthwatering menu of local artisan food producers taking part in this year’s event are; Gourmet Crepes, Broughgammon Goats Meat, Glendinning’s Jams & Chutneys, Artisan Fudges, Clandeboye Estate Yoghurt and Tricycle Trading. Top-notch event caterers,The Yellow Door,will be bringing their unique touch of class to the event by serving delicious afternoon teas in The Courtyard and the bar will be open throughout the afternoon. Kite making, face painting and balloons will be real crowd pleasers for the younger visitors. In addition to the varied mix of food stalls, local craft will also be showcased in the Frazer Room where visitors will get the chance to browse the exhibits, meet the crafters and purchase their products. The afternoon is also a great opportunity to view the Adams Exhibition of Irish Women Artists 1870-1970 in the Ava Gallery. Admission £4 per adult – kids go free.